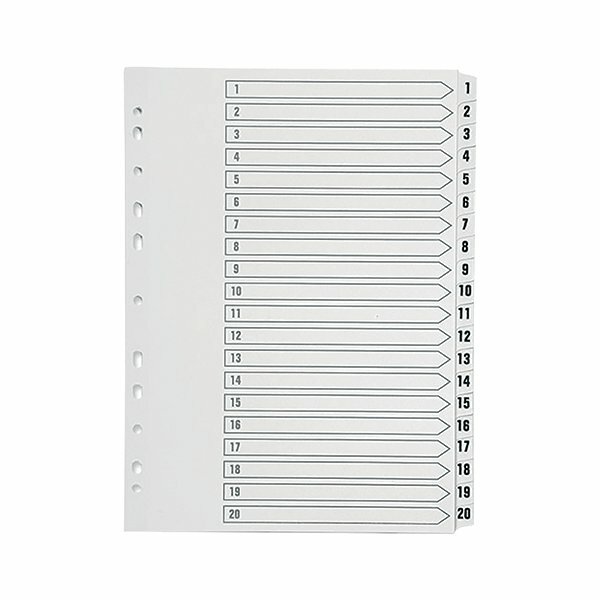 Made of durable polypropylene, this Q-Connect Index is numbered 1-20 to help you organise your filing. A front index card allows you to label your notes for quick and easy referencing. 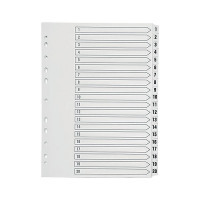 Multi-punched to fit standard A4 ring binders and lever arch files, this 20-part index is pre-printed 1-20 and comes in a pack of 1.